My boy have been busy reading this month! They have all found a book series (or three or four of them in Alec's case) that they are thoroughly enjoying. It's so nice to see them happily reading and requesting books. 1. 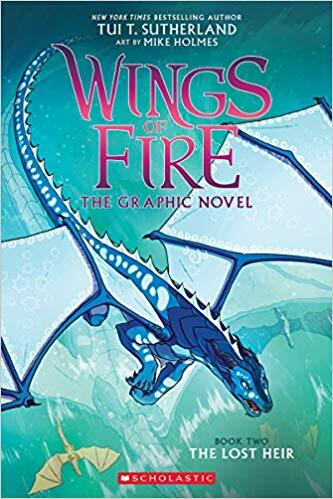 The Lost Heir: Graphic Novel-- Evan was so thrilled to see the new graphic novel of the second book in the Wings of Fire series arrive in mail. He read the book in just under two days; it's one of the first times I can ever remember seeing him reading so much! He is really enjoying this fictional world of dragons. 2. 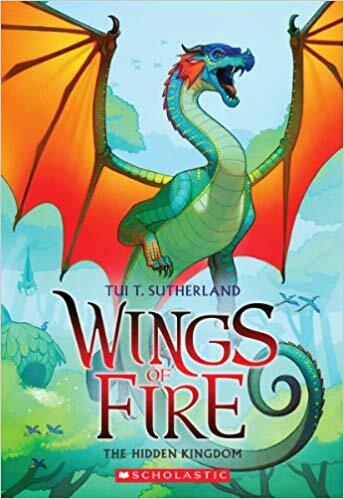 Wings of Fire Book 3: The Hidden Kingdom-- Even though Evan put this book on hold while he re-read book 2 in graphic novel format he's still just over 1/2 way through the book. I just love that he's found a series he's enjoying so much! Each new book in the series focuses on a different species of dragon and their quest to save the kingdom from evil forces. 3. 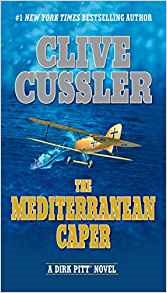 The Mediterranean Caper by Clive Cussler-- Ian is just about finished with this second book in the Dirk Pitt series and is still enjoying this treasure seeking series. 4. 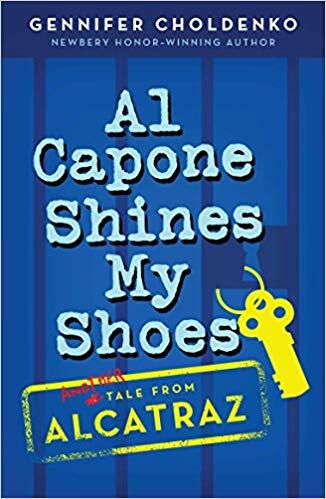 Al Capone Shines My Shoes- We listened to the second book in the series together in the car. We really enjoyed hearing more about Moose's adventures on Alcatraz Island. 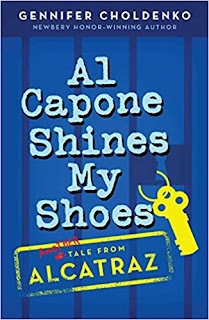 In this book Moose is left owing a favor to Al Capone... and that's not a good thing. 5. 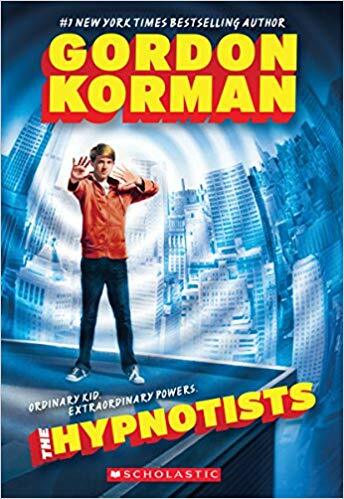 The Hypnotists-- We just love Gordon Korman and this book was truly a fun read. When Jax discovers he's descended from a long line of hypnotists and that he has the power to hypnotize people he's a bit stunned. With the help of Dr. Elias Mako and the Sentia institute Jax begins to develop his powers-- but is that really a good thing? 6. 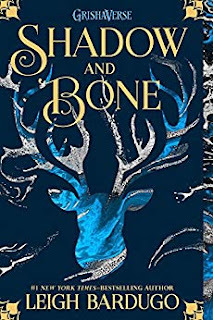 Shadow and Bone-- Alec is still making his way through the books he picked out for his birthday. He just loves books about good versus evil, magic, and monsters and this book hit on all three levels. 7. 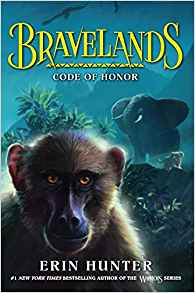 Bravelands Book 2; Code of Honor-- Alec loves Erin Hunter's books and had gotten this book for Christmas. He finally got around to reading it this month and finished it in record time. Set in the African Savannah and told from the point of view of three different animals it's a fabulous book for anyone that enjoys fictional accounts of animal tribes. 8. The Quest of the Cubs; Bears of the Ice book 1-- Alec was thrilled to discover that this book is related to the other Ga'Hoole books he's read in the past. 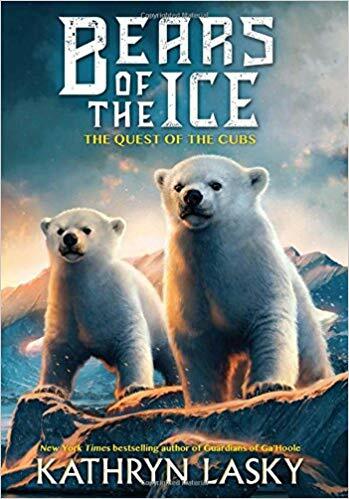 In this new series the noble polar bears' society is on the brink of collapse and when their mother goes missing cubs First and Second must rescue her. 9. 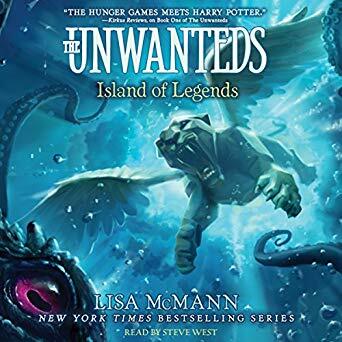 Island of Legends: Unwanteds book 4- Alec is still making his way through this audiobook we bought him for his birthday. 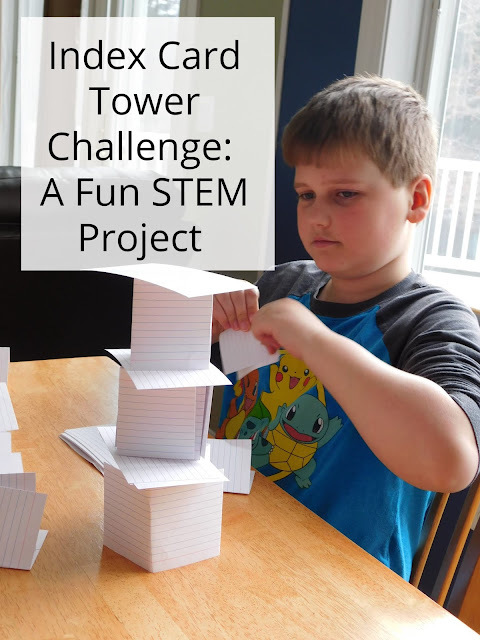 Alex experiments more and more with his magical skills and brings his first creature to life... which may or may not be a good thing. It really can be. 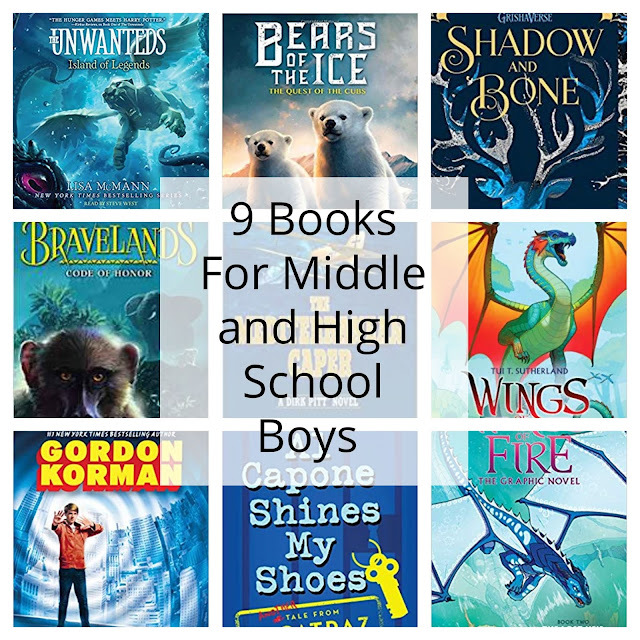 My middle son loves to read and will find his own books but my other two are really resistant to reading and I am always so thankful when I find something they enjoy. 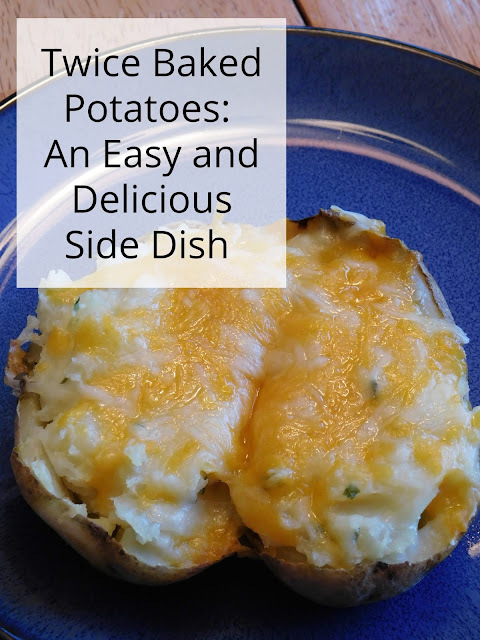 My middle schooler is picky. I used to love Gordon Korman! I wonder if he would like that one! We are just loving all of his books! He's so funny. 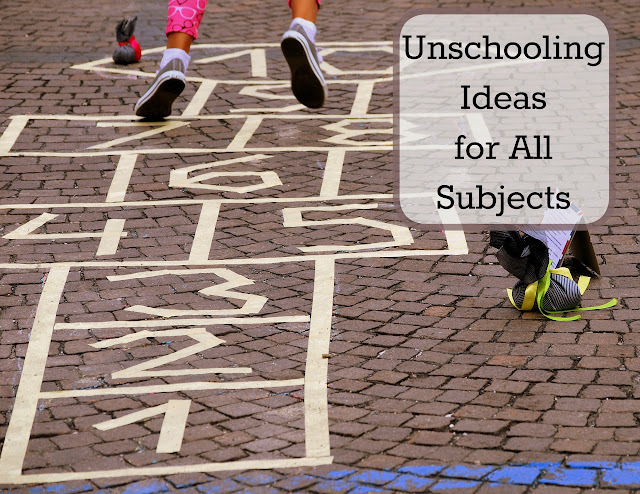 I need to show my oldest nephew this list! It looks like some great reads! Thanks for sharing. Hope your week is great. Thanks! I hope he finds something he likes. 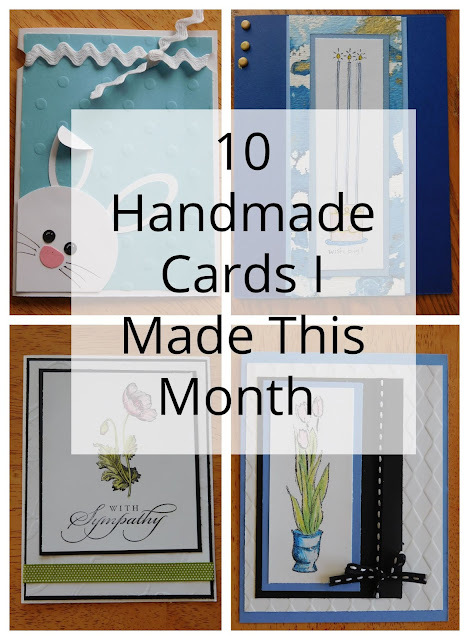 Looks like a great list! Another great series is Explorer Academy. They just released book 2 and my son can't wait to read it! Ooh! Thanks for the suggestions; we'll look in to that. Middle school was such a difficult time, especially to get one of mine to read. These are awesome titles!